If you always wondered what aromatherapy means, all you need to do is look at the name again. It is the treatment of the body and the mind by the use of scents and essential oils derived from plants. And to be specific these plants are known as being aromatic, hence the first part of the name. The second part is self explanatory. Aromatherapy is very effective in making you feel good mentally and physically by the way it affects your senses. What you see, touch, and feel affects you in your daily life either in a positive, negative or even a neutral way. Aromatherapy slots in as a positive influence as it treats your mind and body through your sense of smell restoring and promoting balance when you need it most. Your sense of feeling is the other part of the senses influenced by aromatherapy as essential oils are also absorbed through your skin during massage or while bathing in water containing essential oils. So, for example, if you feel stressed, plants like lavender will help you to relax. If you breath the lavender scent it will sooth you. So will the oils when absorbed through the skin either through massage or when you have a bath. If you feel low in energy essences like mint will give you that extra stimulus to make you spring back into action. Again these oils can be breathed in, used during massage or while bathing. They act as stimuli on the brain provoking a reaction in your chemical make up through your sense of smell and through the skin. 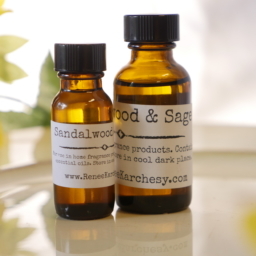 Frankly, aromatherapy has become the alternative medicine of choice for the busy society we live in. It is a beneficial because the oils and scents are pure and natural. It is an alternative that has been around too long for it to have any kind of side effect that the general population would find harmful. But of course you cannot legislate for substances you might be allergic to even ones that are considered benign. And it is not only a kind of alternative medicine but is also used quite widely as an alternative for cosmetics and it is a very good replacement because the essences of aromatic plants are completely natural and as discussed not harmful to most people. In fact the benefits of aromatherapy covers not only us humans but animals as well. Essential oils such as niaouli, eucalyptus and tea tree are being credited by dog owners as being effective in combating the common colds of our best friend. In conclusion, aromatherapy has been shown to be a very effective replacement for treatments of the body and mind. It has been practiced from ancient times to cure various ailments and is still to this day very popular to treat these same ailments as well as curing newer ailments of our times like stress and anxiety. It is also widely used as natural beauty treatment alternative. Even cats and dogs like the effects of aromatherapy so it is sure to be here to stay and perhaps you will find it to have even more beneficial uses in the future.